Fun Stampin' with Margaret! : Four Feathers and More! 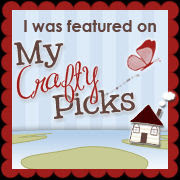 I'm excited to be on my first Control Freaks' Blog Hop! Wow, what a talented group of ladies they are! So you may have just come from Dawn Olchefske's blog but if you started here just click on the link on each blog to go around the loop and see everyone's projects! Our theme this month is Simple and Elegant... 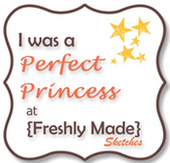 I started rather simple but seemed to have gotten more "stuff" on my projects as I went along! I used the feather framelits to cut into the Basic Gray to expose the Confetti Celebration DSP underneath. The medallion is from the Starburst Sayings, stamped onto Brushed Silver cardstock then embossed with Silver Embossing Powder. Happy Birthday is from the Endless Birthday Wishes set. Here's a little bit closer look; a Bermuda Bay Candy Dot centers the medallion. I clustered the feathers behind a greeting from the Blue Ribbon set, stamped in Calypso Coral layered on a Designer Label frame. You'll see Baked Brown Sugar, Coastal Cabana and Crisp Canteloupe in the feathers and the thick Baker's Twine. This is a simplified version; I pared it down a bit from the original! lol! The next person on the Hop is the amazing Wendy Weixler! 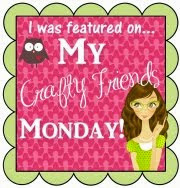 Click on the link to go to her blog; she will have some fab projects for you to enjoy! LOVE the DSP peeking thru the feather framelits - so striking! 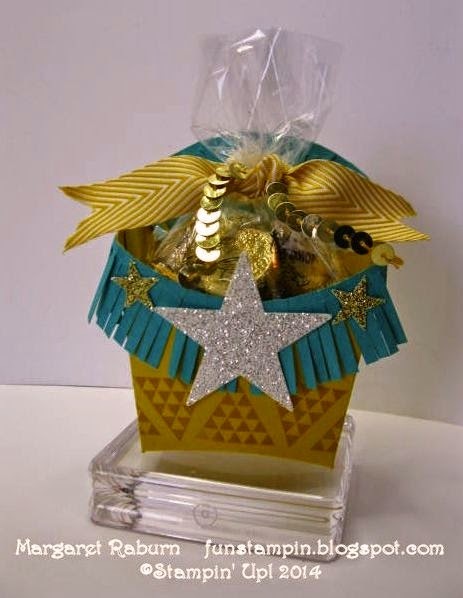 The Baker's Twine gives the second card a western feel and that fry box is just so fabulous! I see a lot of these in my future! 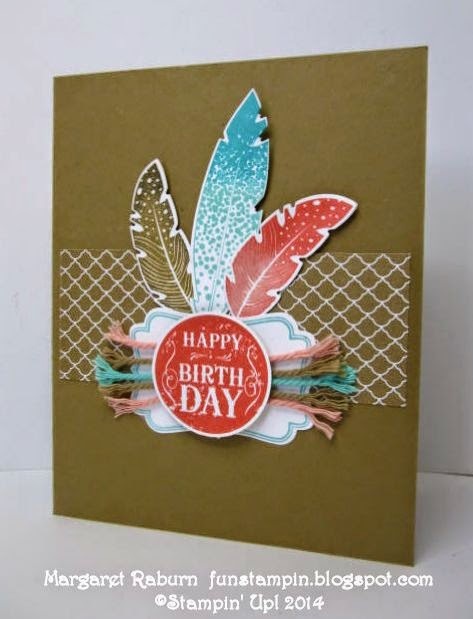 I love what your did with the feathers -- especially the negative images on the first card with the designer paper underneath! I LOVE the first card especially. Great job Margaret! Your feather cards really tickled me. I loved the first one with the feathers cut out and the DSP behind it. Stunning! On the second card I thought that the pieces of twine added was really clever, too. Great projects Margaret - I particularly like the effect of the negative space feathers on the first one. Yay Margaret, so glad you are with us! 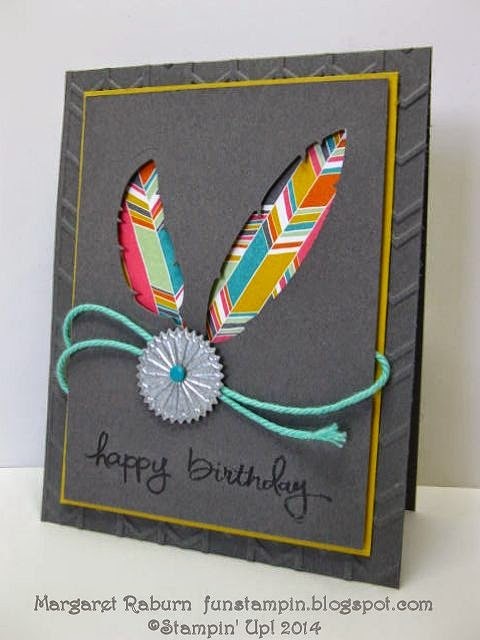 What great use of the feathers, one of my new favorites and your 3D project is adorable! 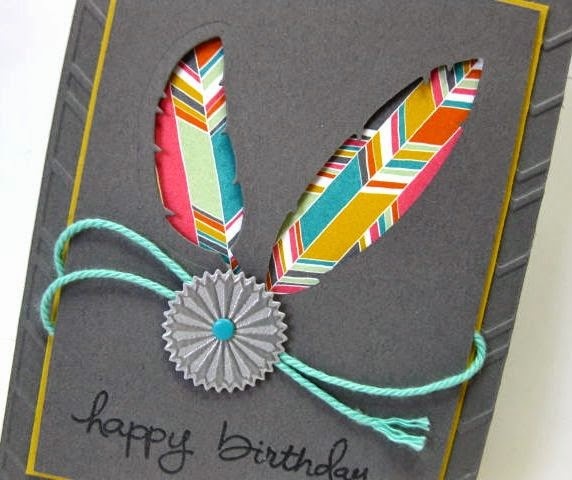 Love your fun feather cards. The western-type fry box is fabulous! Love the fringe. Fantastic cards Margaret! Oh, and fry box too! I am a SW nut, so totally love your feather cards, especially the first one! And your box...how fun! You are such a creative stamper, Margaret. I love the first card with the feathers cut out. So, so cool!